Peter Douglas Nicholls (8 March 1939 – 6 March 2018) was an Australian literary scholar and critic. He was the creator and a co-editor of The Encyclopedia of Science Fiction with John Clute. Born in Melbourne, Victoria, he spent two decades from 1968 to 1988 as an expatriate, first in the US, and then the UK. Nicholls' early career was as a literary academic, originally with the University of Melbourne. He first travelled to the US in 1968 on a Harkness Fellowship in film making, and has scripted television documentaries. His significant contributions to science fiction scholarship and criticism began in 1971, when he became the first Administrator of the Science Fiction Foundation (UK), a position he held until 1977. He was editor of its journal, Foundation: The Review of Science Fiction, from 1974 to 1978. Most of its 730,000 words were written by Nicholls, Clute and two contributing editors. It won the 1980 Hugo Award in the Nonfiction Book category. A completely revised, updated, and greatly expanded version of the Encyclopedia, co-edited with Clute, was published in 1993, and won the 1994 Hugo in the same category. A further updating of the work, with revisions and corrections, was later issued in CD-ROM format. The third edition, with Clute and David Langford, was released online as a beta text in October 2011. Nicholls' other major publications include: Science Fiction at Large (1976; reprinted 1978 under the title Explorations of the Marvellous), a collection of essays edited by Nicholls from a 1975 symposium; The Science in Science Fiction (1983) edited by Nicholls and written by him with David Langford and Brian Stableford; and Fantastic Cinema (1984; published in the US as The World of Fantastic Films). 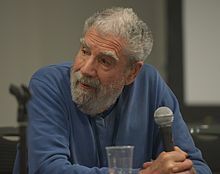 He won several awards for his scholarship, including the Science Fiction Research Association's Pilgrim Award (1980), an Eaton Award (1995) and a Peter McNamara Award (2006). He broadcast film and book reviews on BBC Radio from 1974 and worked as a publisher's editor 1982–1983. Nicholls was diagnosed with Parkinson's disease in 2000, which gradually curtailed his activities. A film on his interest and work in science fiction, titled The What-If Man, was completed in 2004. Nicholls was the father of five children. His daughter is author and editor Sophie Cunningham. He lived in Melbourne with his wife, Clare Coney, where he died on 6 March 2018 at the age of 78. ^ Clément Solym. "Mort de Peter Nicholls, éditeur de l'Encyclopédie de la science-fiction". 6 March 2018. Retrieved 2018-03-06. ^ a b c d Clute, John; Nicholls, Peter. "Nicholls, Peter". The Encyclopedia of Science Fiction. Retrieved 7 March 2018. ^ a b c d e f g h i "Peter Nicholls (1939–2018)". Locus. Retrieved 7 March 2018. ^ The Encyclopedia of Science Fiction edited by Peter Nichols and John Clute, National Library of Australia website. Retrieved 2018-03-10. ^ "1980 Hugo Awards". World Science Fiction Society. Archived from the original on 7 May 2011. Retrieved 19 April 2010. ^ The What If Man (2004). Ronin Films (roninfilms.com). ^ "Alien Star". Highbeam Business. 1 March 2003. Archived from the original on 8 March 2018. Retrieved 7 March 2018. The Encyclopedia of Science Fiction, 3rd ed.